So Microsoft has done it yet again, new morning and a new Xbox One policy change, this time around its a massive one, "Kinect is no longer mandatory for functioning of Xbox One". This latest change might look good on paper but has its own share of demerits. Here are the list of confirmed feature that Xbox One gamers will be missing out if Kinect is not connected to Xbox One. You can flip, grab, drag, and push. “xbox on,” “go home,” “snap Skype,” “watch TV,” “play game” are some of the commands you can use. There are tons more. After you sign in the first time, the Kinect will remember your face, associate it with your live account and can automatically sign you in when you walk in front of the Kinect and pick up a controller. This enables an array of features such as automatically loading your favorites, your settings, your list of games, etc. This works in junction with identity. Each controller is bound to the player holding it. There was a question asked about removal of the LED rings and not being able to tell who is player X. It doesn’t matter which controller you are using. The console handles it and recognizes where you and your friends are in the room and adjusts accordingly. We can even tell when one person is holding more than one controller. Some of the games announced for launch have been pretty revealing on what features they are using. Some people are still saying they haven’t seen any Kinect features in games. Well they’re right, the games are not out yet. But it's not a question of whether game devs will use the Kinect, it's how are they are using them. Most of these are focusing on subtle controls in addition to using the controller. Ryse: Son of Rome - Voice commands to control legions of soldiers. Dead Rising 3 – There’s a lot of info on how DR3 is running with this. Zombies can hear you, wriggle away from zombies by shaking your controller, point at an area and use voice commands to control survivors. Killer Instinct – You and your buddy sit in front of the Xbox, grab controllers, you are both automatically signed in. Your separate customizations and loadouts are ready and you go straight to fighting. There was a demo shown at E3 called Reflex. This is an FPS game made in house to showcase how Kinect can be used. You’re shooting targets as usual, suddenly you’re outnumbered and enemies are shooting at you from all over the place. Raise your controller to chest level and your shield pops up. They can't hurt you now and you own them. Wait! Invisible enemies are shooting at you! Good thing your helmet has an XRAY vision module. You touch your right temple to activate it. Now you can see them and you waste them. Giant obstacles are flying at you while you sprint across a stretch of land. Lean left or right with your body and you strafe/dodge/roll accordingly. You are too quick. You’re shooting at flying enemies and these guys are tough. Your puny gun can’t penetrate their armor. Except you have rockets. Raise your finger and point at each of the targets to lock on and you say, “fire missiles.” Something like this happens. 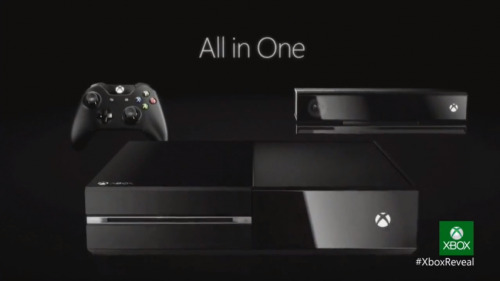 Whether Microsoft has done the right thing by reversing Kinect not mandatory on Xbox One policy?. Share your views with us in the comment section below.